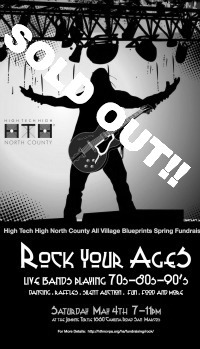 This year, High Tech High school’s Parent Teacher Association put on an event called Rock Your Ages. The purpose of which was to raise money for the school. The sold out event provided great entertainment for the purpose of raising money for local schools. Thank you to the Diane Downey and family for bringing this event to our attention. Pistachio was happy to help support this innovative school’s programs.